With gilt. 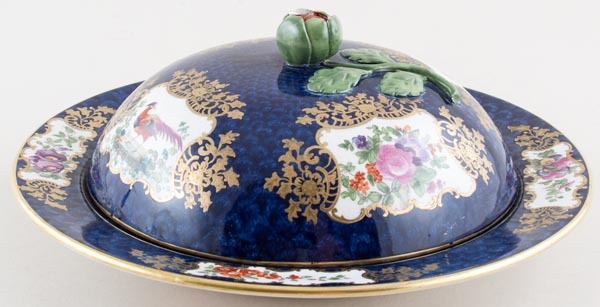 Fabulous lidded dish with vignettes of flowers and exotic birds in glorious colour and copious amounts of gilt. The cover has a wonderful stemmed flower finial. No backstamp. Light all over crazing and there is a little damage to two of the flower petals otherwise excellent condition with the gilt beautifully intact.